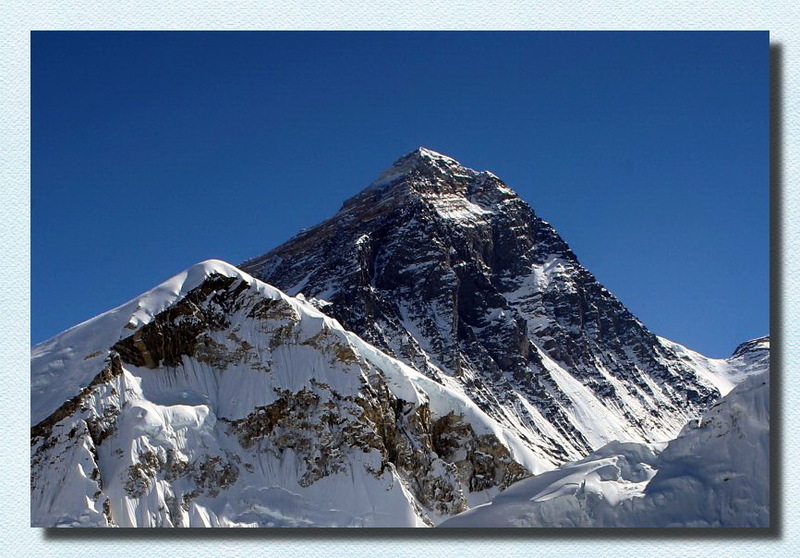 Everest is the earth's highest mountain. The Tibetan name is Chomolungma or Qomolangma which means "Holy Mother". It is located in the Mahalangur section of the Himalayas. The international border between China and Nepal runs across the precise summit point. 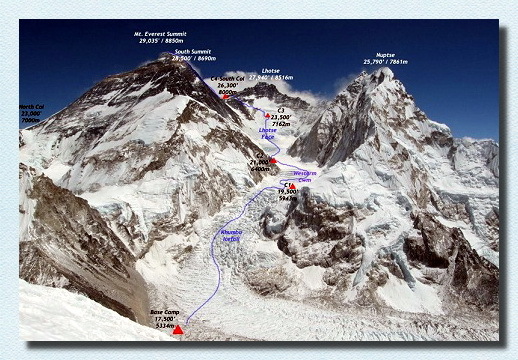 Its massif includes neighboring peaks Lhotse, 8,516 m (27,940 ft); Nuptse, 7,855 m (25,771 ft); and Changtse, 7,580 m (24,870 ft). Current time: 25-04-2019, 06:33 AM Powered By MyBB, © 2002-2019 MyBB Group. Theme created by Justin S.